The revenue of the media conglomerate has seen a flat growth of 1.25% at Rs 6230 crore. 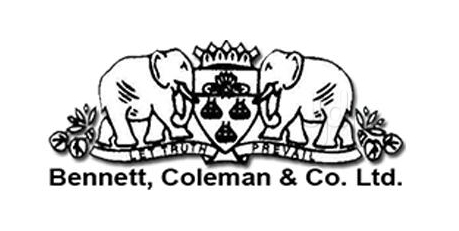 The Bennett Coleman and Company Limited (BCCL) recently announced its FY18 results where its net profit slipped by 27% to Rs 607 crore compared to Rs 827 crore in the same period a year ago, say media reports. The revenue has seen a flat growth of 1.25% at Rs 6230 crore. BCCL’s debt has risen 4.5 times to Rs 937 crore in FY18. The company’s liquidity has increased by Rs 500 crore to Rs 3,700 crore from Rs 3,200 crore in the previous fiscal. The company’s investment in brand capital business (BCB) has increased to Rs 5000 crore from Rs 4,000 crore. BCCL’s Newspaper publishing, which is its largest business segment, owns daily publications such as The Times of India and The Economic Times in English, Navbharat Times in Hindi, Nav Gujarat Samay in Gujarati, Maharashtra Times in Marathi, Vijay Karnataka in Kannada, and Ei Samay in Bengali. It also publishes the magazines Filmfare and Femina. The group has a presence in radio broadcasting through Radio Mirchi. It is also actively present on television through Zoom TV, Times Now, ET Now, Romedy Now, Movies Now, and Movies Now Plus and also owns several internet properties through a wholly owned subsidiary, Times Internet.